The Gigamole Diaries: Black swans in Singapore? 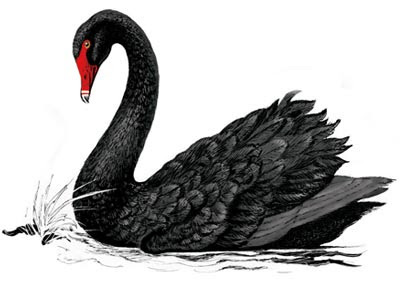 The black swan metaphor was introduced to us by Naseem Nicholas Taleb to describe a high impact outlier phenomenon that no body expects and one that takes everyone by surprise. The recent global recession related to the collapse of Lehman Brothers was such a black swan event. And like all black swans it can be rationalized after the event, when everyone kicks themselves in the backside and wonders why they never recognized it coming. Although not global in magnitude, there have been a number of black swans seen in Singapore recently. The GE2011 results for example, caught many people in the PAP by surprise. The flooding in Orchard Road was another such event. In retrospect however, these events could have been easily predicted, and now we have the unusual situation where many people in the gahment are kicking themselves wondering how they missed the picture. Often therefore the black swans are not the result of extra-ordinary events but of a lack of foresight, and the reluctance to think outside of mainstream and traditional ideologies. The GE2011 black swanlette was I believe, very much a consequence the failure to really look at the signs, which in retrospect, was everywhere. 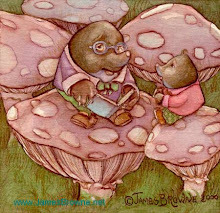 There was much reluctance to listen to naysayers, and everyone was happy to fuel the emperor's vanity. The flooding story hasn't quite unfolded fully, but I believe the picture will emerge that the black swan really came about because of the reluctance to deal with changing weather patterns as a result of global warming. There was I believe, too much discomfort in wanting to move outside of traditional models looking at weather and flood patterns. After all, to do so would have been to abandon painstakingly collected historical rainfall and flooding data. Yet the world has changed, and these models need to change as well. The increasingly recognized hospital "bed-crunch" is perhaps not unlike the flooding black swan. Caught everyone by surprise, did it? What absolute crock! The numbers were there for everyone to see. The population was growing at a phenomenal rate. People were aging. Medical tourism was being encouraged. But no one appeared to want to look seriously at the numbers. Either that or there was an absolutely wrong prioritization of healthcare resources to cater for medical tourism instead of community needs.